Dr. Bonnie S Silverman, MD is a Doctor primarily located in Yonkers, NY. She has 37 years of experience. Her specialties include Ophthalmology. She speaks English. Dr. Silverman has received 3 awards. The overall average patient rating of Dr. Bonnie S Silverman is Great. Dr. Bonnie S Silverman has been rated by 37 patients. From those 37 patients 23 of those left a comment along with their rating. The overall rating for Dr. Bonnie S Silverman is 4.4 of 5.0 stars. My experience ( yesterday) with Dr. Bonnie Silverman for cataract LASER surgery was beyond my favorable expectations. Her expertise and excellence was highly executed. I never had any prior eye surgeries so I was a little scared but Dr. Silverman was so adept and sensitive that I actually felt secure and well taken care of. Today one day after surgery I have no discomfort and 20/20 vision! I love the results and because of this I plan to do the other eye in the summer. I actually drove today ( one day after surgery and feel great! I HIGHLY RECOMMEND Dr. Bonnie Silverman as your surgeon of choice. I have been a patient of Dr. Bonnie Silverman for 32 years. She is a highly knowledgeable doctor. I trust her completely with any problem and just a yearly exam. I recently had cataracts removed in both eyes and my surgery was a success due to Dr. Bonnie Silverman. Make an appointment today and you will not be disappointed. Sincerely, A very satisfied patient. Went to my annual visit to Dr. Silverman yesterday, and as always was seen on time and with great efficiency. Dr. Silverman is extremely professional, yet a warm and caring individual. She treats you as an individual not just a patient. She makes time for you and thoroughly explains all that she is doing and what is going on with the results of your exam. Her staff are all pleasant and knowledgeable, making your entire visit painless and effortless. Dr. Silverman has been our eye doctor for approx., 10 years. She has always been extremely thorough, well spoken, caring, knowledgeable and has provided us with excellent medical care. Recently, I have had to undergo cataract surgeries with amazing results. Dr. Silverman explained everything every step of the way. I would recommend her to my family and friends. 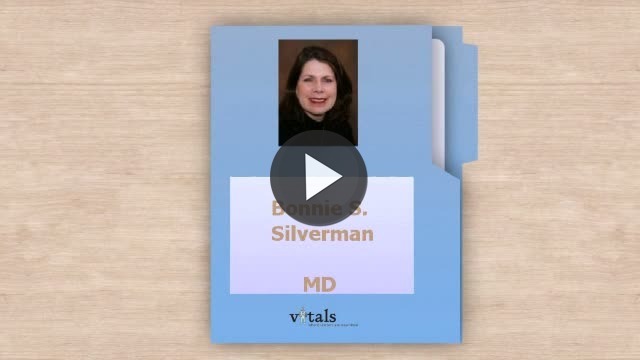 Take a minute to learn about Dr. Bonnie S Silverman, MD - Ophthalmology in Yonkers, NY, in this video. Dr. Bonnie S Silverman is similar to the following 4 Doctors near Yonkers, NY. Have you had a recent visit with Dr. Bonnie S Silverman? Select a star to let us know how it was.